A man was fatally shot after allegedly pulling a knife in a confrontation with Redondo Beach Police inside his Susana Ave. home Thursday night. Mitchell Allison, 43, of Redondo Beach was transported to Harbor-UCLA Medical Center after the shooting, where he died of his injuries. According to RBPD Capt. Jeff Hink, police responded to a call from the 500 block of Susana Ave. around 11:15 p.m. Thursday. A neighbor who lives down the street from Allison’s home reported that a man was assaulting a woman inside his residence. The caller said the woman was screaming for help. Upon arriving at the scene, police learned the man was Allison, and the woman, his mother. The woman, who reportedly lived with her son in the Susana Ave. home, is safe following Thursday night’s incident. When police arrived, Hink said, Allison refused to cooperate and became confrontational. “Our officers saw him at the front door to the house,” he said. “He refused any order to come outside and he engaged in a game of ‘cat and mouse’ with officers by moving about inside the residence, going from window to window and back to the front door, and that’s when our officers decided to break the front door down. “When they opened the front door, at some point during the negotiation with the suspect, the suspect produced a knife and that led to an officer-involved shooting,” Hink said. 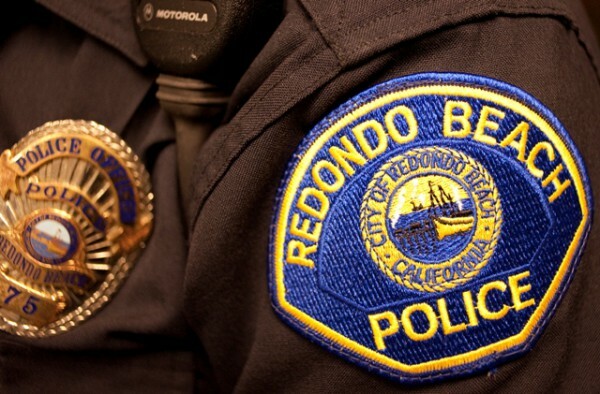 An investigation into the circumstances surrounding the shooting is being conducted by Redondo Beach Police, the Los Angeles County Sheriff’s Office, and the Los Angeles District Attorney’s Office. According to Los Angeles County Superior Court records, Allison was in 1994 convicted on a charge of resisting arrest, and charged but not convicted for brandishing a firearm, carrying a loaded gun in public, receiving stolen property, battery, burglary, and violating court orders. He was later convicted for selling or distributing hypodermic needles or syringes without a license. Friday morning, police disseminated an alert about the fatal shooting to Nixle subscribers – users of a communication system police launched recently. To subscribe, text your ZIP code to 888-777 or visit nixle.com.